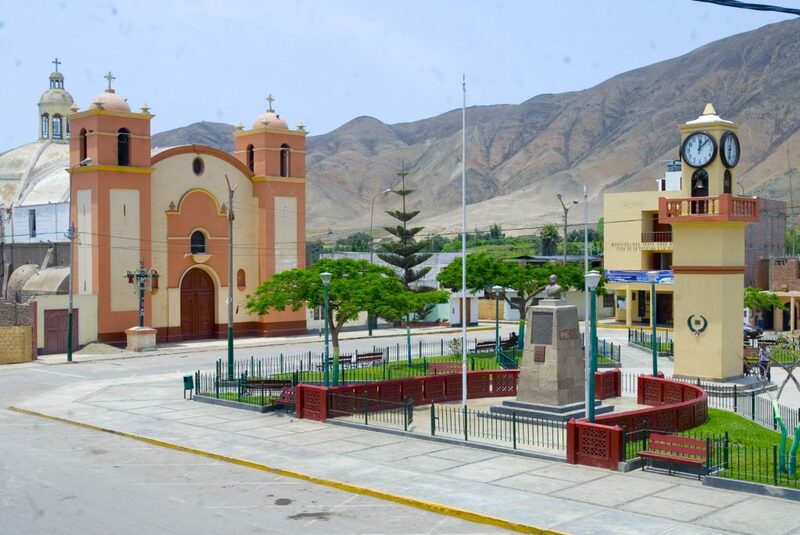 Azpitia is located 90 km south of Lima and belongs to the southern district of Santa Cruz de Flores, in the province of Cañete. Known for its good climate all year round and its excellent views of the Mala River valley. Do not miss the great opportunity to spend a nice experience in Azpitia. Plan with your friends and take notes! How to get to Azpitia? To get there you must take the Panamericana Sur highway until km 79 and at the height of León Dormido beach take the detour to the left, as it will take you to San Antonio and Santa Cruz de Flores, in the province of Cañete. 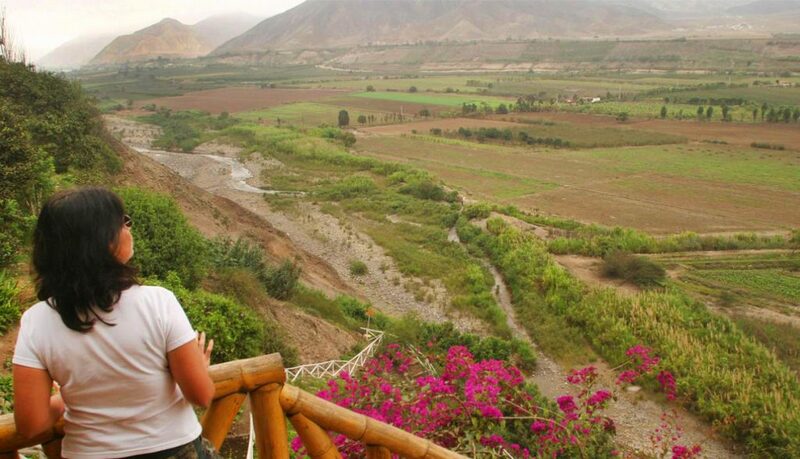 Already in its meadows Mala Valley is uncovered, so quiet that it has its own Balcón del cielo. The attraction of Azpitia is its quiet countryside surrounded by fruit fields: apple trees, lúcuma trees and pacaes. This small town is located between San Antonio and Azpitia. Its main activity is the elaboration of homemade wines and piscos. You can visit the cultivation fields and know the production process. 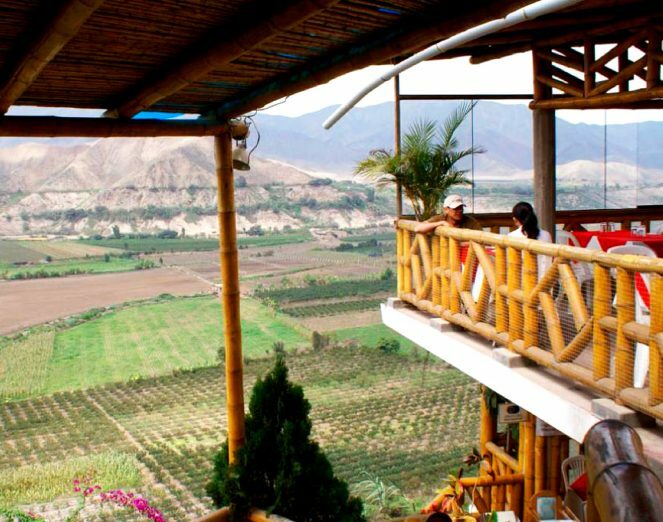 Beside the harvests, there is a bar / restaurant that offers pisco sour and, of course, in different presentations made with fruits from the fields of the place. Another important characteristic, and the reason for its name, is the existence of numerous crosses placed on the peaks of the surrounding hills. It is a country restaurant that bears the name by which it is also known as Azpitia. 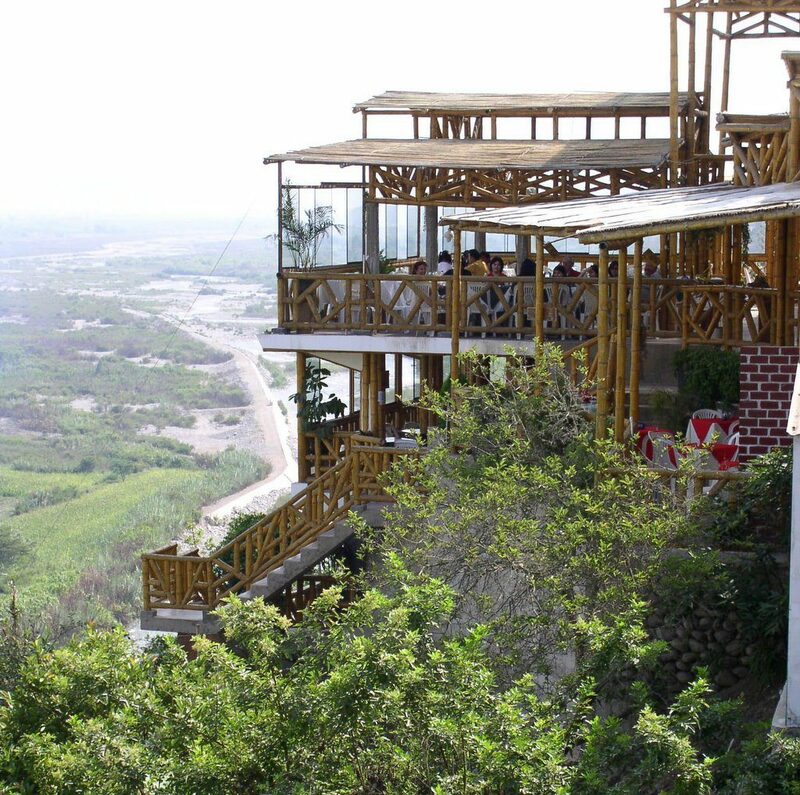 The view from its balconies is more than enviable since it is built on a hill that looks directly at the Mala valley. The star of its cuisine is the shrimp and the ingredients they use in their dishes are from the local fields. Shrimp suckers, shrimp omelet and shrimp ceviche are the specialties. You can go mountain biking, hiking, as well as rides on ATVs and on horseback.